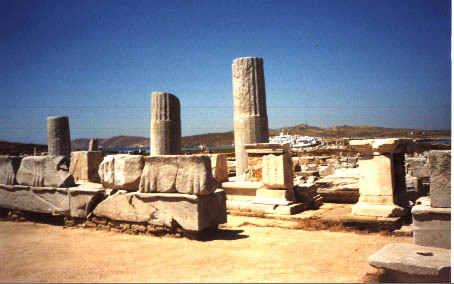 In Mythology Delos was said to be the birthplace of Apollo and Artemis. 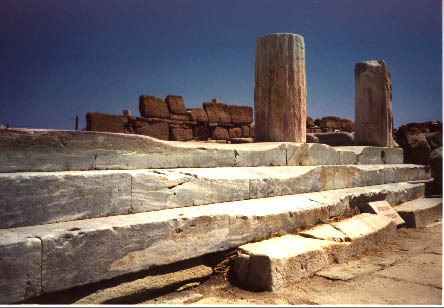 As a result of this, Delos was the second most important sanctuary to Apollo next to his Oracle at Delphi As result Delos attracted pilgrims from 1200 B.C. to the first century A.D. This hoard of humanity made the island of Delos a political, cultural and economic powerhouse. 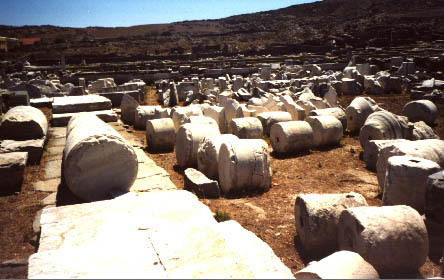 At one time Delos was as powerful as city states such as Athens and Sparta. 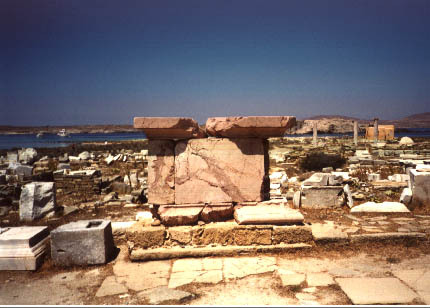 Athens grew Jealous over the Power Delos was accumulating. A law was passed stating that no one could be born or die on the island. This caused a population shift over the a neighboring island. People went there to give birth and to die. Therefore, the permenante population on Delos kept getting smaller and smaller. Over time pirates raided the Island, plundering its riches. This discouraged pilgrims from visiting the island and left the island in Ruins. 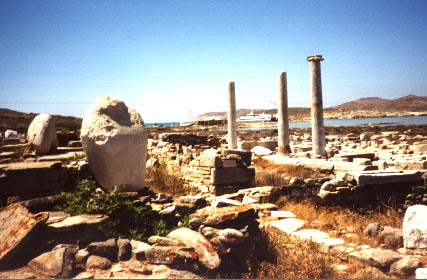 However, Delos is once again host to pilgrims. 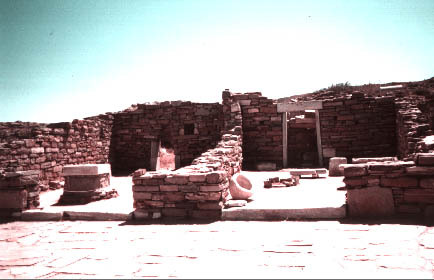 This time the pilgrims hope to get a peek at the preserved ruins of the town and the sanctuary. For more History on the island, please see my history page. I hope you enjoy the photos. Any comments, please E-mail me, . Click on the title or thumbnail to view the larger picture.